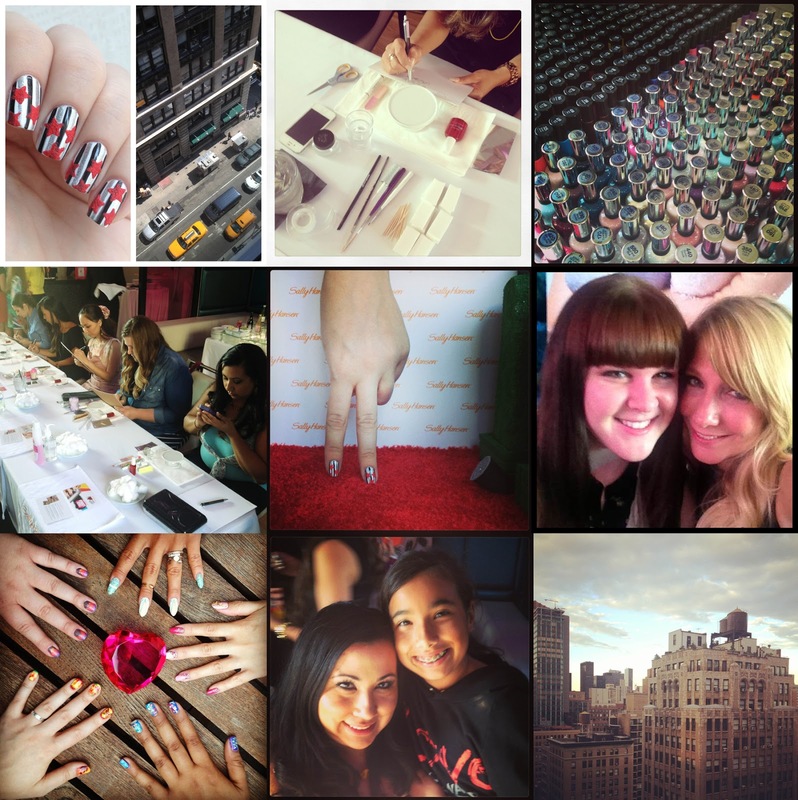 Earlier this month, I had the privilege of flying out to New York City to judge the Sally Hansen I Heart Nail Art finale round. I was excited and nervous and curious -- what was the final round going to be like? What would the finalists come up with for their designs? What would it be like to meet Sally Hansen Nail Ambassador Tracylee? 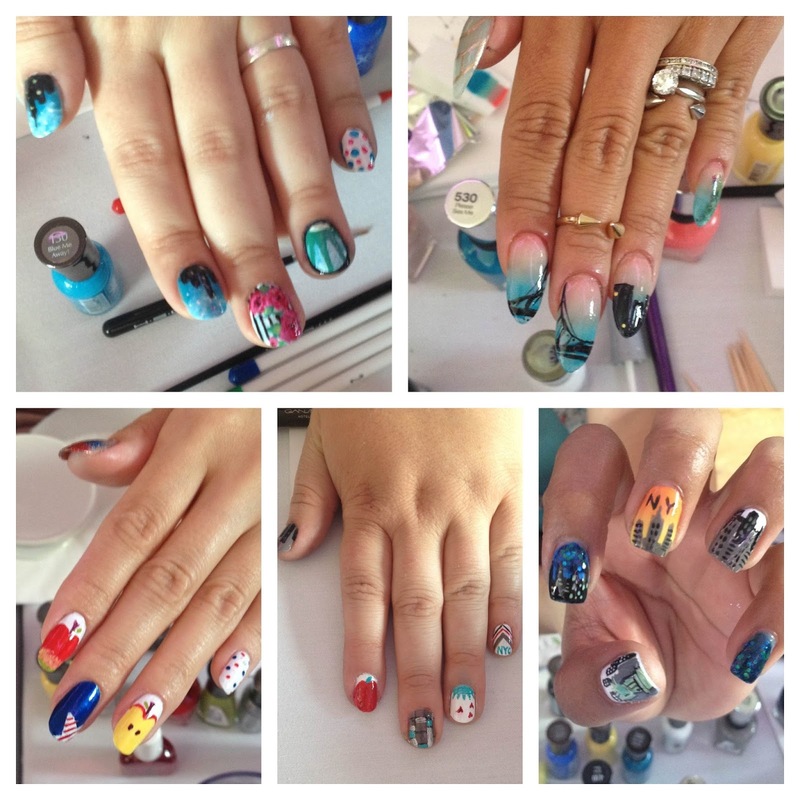 And, maybe most importantly, WHAT WOULD I WEAR ON MY NAILS? I arrived in New York on Monday night, and shortly after checking in, I headed out to a restaurant in the Meatpacking district to meet up with some nail friends for the first time. I met Carly from Lacquered Lover, Amy from Gotham Polish, Annie from Cirque, and Marisa from Polish Obsession, and we talked and laughed and ate a lot of guacamole. I loved the opportunity to attach faces and voices to the nails (though looking at the nails was great, too!). Clockwise from top left: Marisa, Carly, Amy, me, and Annie! Tuesday was the day of the event, so after spending too long getting ready, I headed up to the rooftop event space at the Gansevoort Park Hotel. I tried my best to act professional as I was distracted by cupcakes, endless rows of polish, and photographers. I was introduced to the finalists: Mackenzie (@pretty_squared), Nina (@nina_nailed_it), Azusa (@azusanail), Lishelle, and Galdina (@nailuscious). They all expressed their nervous excitement to get the competition underway! 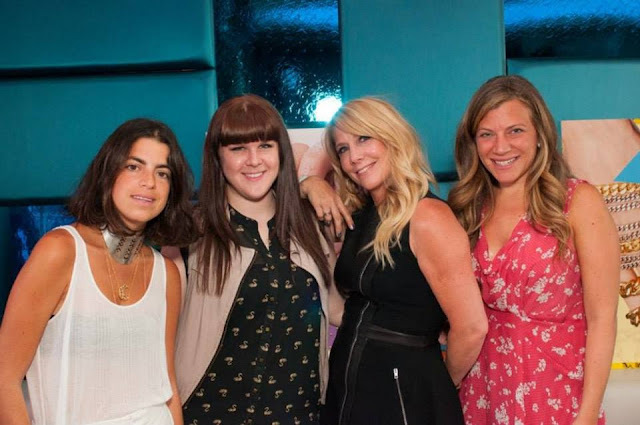 I also met the other judges, who were much more glamorous than I: Tracylee, Leandra from Man Repeller, and Nola from The Glam Network. Before I knew it, it was time to start the competition! For round one, the theme was New York City. The finalists had 5 minutes to plan and 25 minutes to execute their design. These ladies stayed strong and worked hard as everyone got up in their business -- but how can you blame us? It was amazing to watch them work! When they finished, the four judges went around and we scored their designs based on cleanliness, execution, and difficulty. Round two's theme was Inspired by a Destination. From Vera Cruz to Utah, their creativity was inspiring! We followed the same judging procedure from round one as the contestants breathed a sigh of relief that it was now out of their hands. 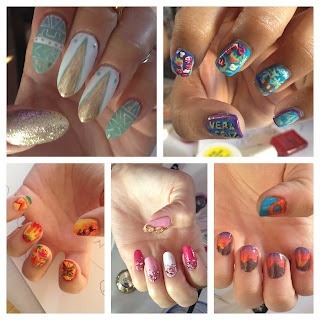 The gorgeous nail art -- rounds one and two! After totaling up the scores (trust me when I say they were very close! 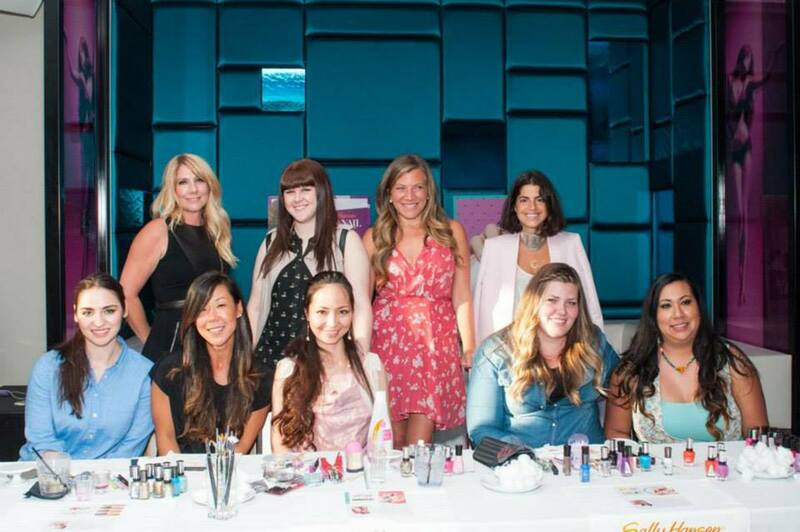 ), Galdina from Nailuscious was named the Sally Hansen Nail Art Sweetheart! Photos were taken and hugs were exchanged, and as things began to die down a bit, I rounded up the contestants and asked them if they'd like to join me for dinner. We didn't have a lot of time to chat during the event, and I wanted to get to know them better. We walked a few blocks down the street and settled in for a delicious meal at Sarabeth's. I asked them about the experience of doing nail art under pressure, and they picked my brain about blogging. It was one of my favorite parts of the entire trip! My event nails nails, using all Sally Hansen lacquers of course! 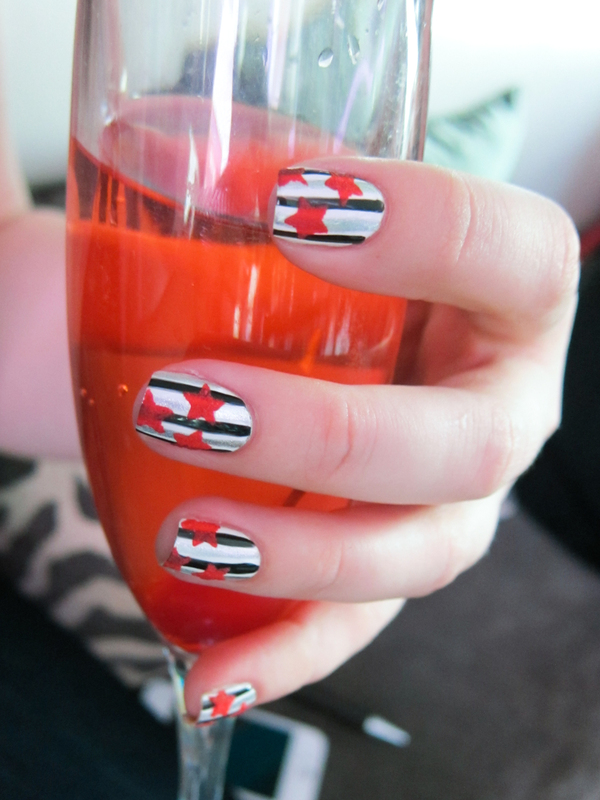 Get the look with my Sugared Stars Tutorial. 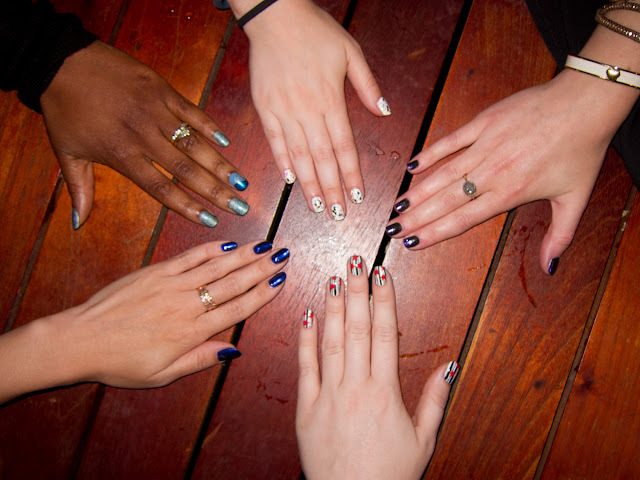 I have had such an amazing time being involved in the Sally Hansen I Heart Nail Art initiative, and I know I will never forget the people that I've met. I want to extend my congratulations not only to Galdina, but to all the finalists; you are all wonderful and extremely talented individuals. 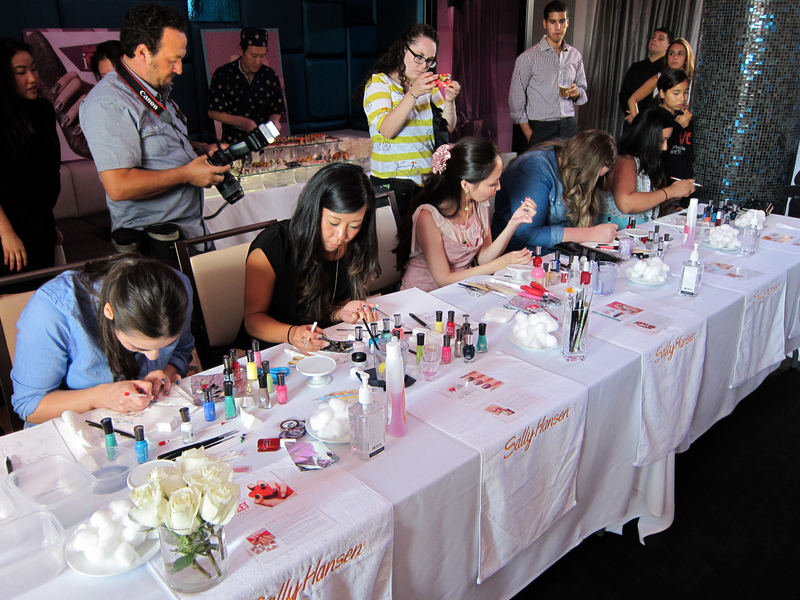 (4) All of the lovely contestants planning their designs (5) My nails on the mini red carpet -- how adorable! (6) Tracylee and me, she is just the sweetest! What an adventure, it sounds like so much fun! It was great meeting you in person Sarah!!! I hope our paths cross again :) Until then, see you around the internet! Awesome! I hope you had fun in New York, there's really no place like it. Luckily they only had to do one hand -- can you imagine doing two in 25 minutes?? I know I wouldn't be able to hack it! I hope so too! Thank you for welcoming me to your city! That is so cool!! Congrats on getting to participate :D Also I love your hair! That fringe is toooooo cute! This is amazing! I remember seeing your updates on instagram and facebook about this... so fun to hear all about it in a post! Looks like this was an awesome experience!! What a great post! Amazing that they could get so much done in 25 min! I agree, it was intense! Loved reading about your experience. That event looked super fun. It was really great to meet you and I hope we get to do it again sometime. Seriously sounds like SO much fun! What an awesome experience for you and the contestants. It sounds like an episode of Master Chef. I think my heart would have exploded under the pressure!